The story is set in Rome, then ruled by the tyrant, Brutus. During a victory march of the Emperor – a few pebbles are aimed at Brutus’ head. The culprit is discovered to be a little Jewish boy – he is at once ordered to be served as a meal to the lions. The boy’s father, an old Jew, is insulted by the Romans. 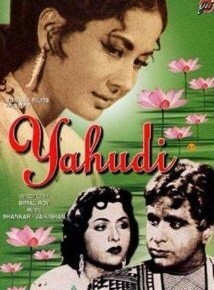 As revenge the Jew’s slave kidnaps Brutus’s daughter, Hannah. She grows up in a Jewish home, ignorant about her past. The Roman, Mareus, falls in love with Hannah. The old Jew sends him away. Hannah recognizing Mareus at his wedding with Octavia charges him with deception, and a breach of promise to marry her. Later she withdraws her charge but by then Mareus admits his guilt and blinds himself. Hannah becomes his partner for life.